How to Make Gameplay Videos? How to Make Your Own Gaming Video? Recording a gameplay is a way of how players can interact with a video or computer game. Some video players reported making gaming videos as one of the best feelings when they are playing video games since they can share their own gameplay. 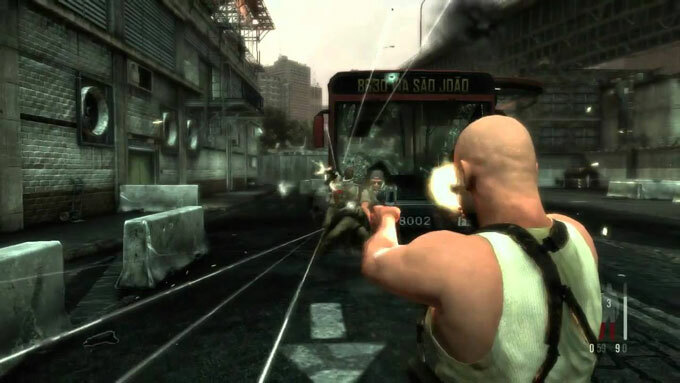 Besides, most of the players want to watch a gameplay video for several reasons, including that they can get strategies, plans, and tactics on how they can win their game. Actually, you can also make your own gameplay by heading through the guideline below and with the help of the different third-party apps. How to Record a Gaming Video? Before you can create your own unique and professional gameplay recording of your video game, you need to record your gameplay itself first. With that, you need a simple yet powerful screen recorder such as the Video Grabber. It is a free online tool which can be used to download videos by simply copying the URL of the video and then paste it into the program main page. Furthermore, you can record the screen of your computer while you are doing some activities. Here are the detailed guides to create game video. On your computer, go to your browser and visit Video Grabber page. Next, hit the “Record Screen” button then “Start Recording” button. After that, select the area that you want to record and hit the “Record” icon to start recording the screen and begin to play your game. When you are done playing, tap the “Pause” button and then click the “Check” mark to save your recorded gameplay. Once you have done with your gameplay recording, you can edit it using the best video editors provided below. 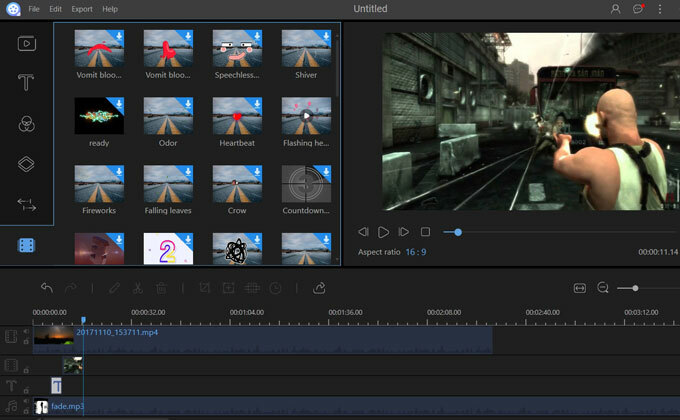 ApowerEdit is professional video editor which can help you easily answer the question of how to make gameplay videos. This tool lets you make an advanced and powerful video editing experience. You can easily create an amazing video with its provided editing features. It enables you to add text, filters, overlays, transition, elements to videos, and make split screen video, adjust the contrast, saturation, brightness, and tone of the video. Apart from that, it lets you crop, split, merge, add mosaic, zoom, add background music and set the duration of the video. See the detailed steps below on how you can utilize this tool. Hit the “Download Desktop” button to download the program and install it on your computer. Once the program installed, launch it then choose your aspect ratio of the video. To add files, click the “Import” then “Import File” button and choose the video file that you want to add. After that, drag and drop the file into the editing area. Now you can commence with editing your own video using the editing features of this program. Once you have done, click on the “Export” icon then “Export” button to start saving your video on your computer. Another tool which can help you out in case this sort of need emerges for your regarding making video gameplay is iMovie. iMovie is a video editing tool made for Mac and iOS devices, including iPhone, iPad, and iPod. It lets you create movies and slideshows. It enables you to edit videos and photos, cut, trim, merge clips, add themes, titles, music, effects, and transitions. Furthermore, this tool allows you to view, edit and share edited video files to YouTube and other video sites. Apart from that, it is very easy to use for everybody. Even an amateur can use it without difficulities. If you want an alternative video editing tool, use Lightworks. It also offers a free and professional version. This program is available on PC such as Windows, Mac, and Linux. Among the many features it possesses, it enables you to split, merge, trim, adjust the speed, saturation, gamma, contrast, brightness and gain of the video. Moreover, it allows you to export your video creation on YouTube, Vimeo and others. 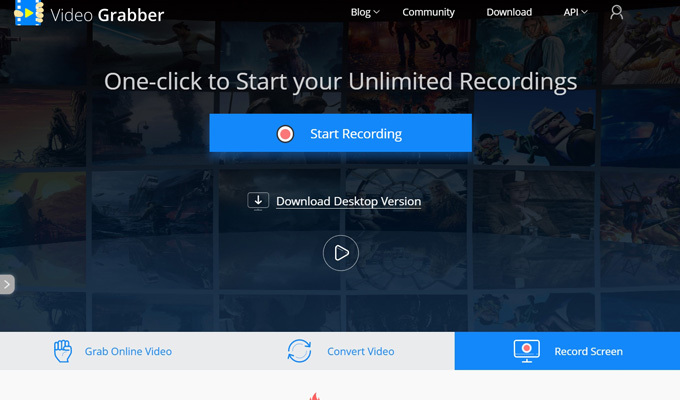 Obviously, if you want to record your gameplay, use Video Grabber. If you want to edit the recorded you can try all the programs stated above before making your final decision. However, if you look at the video editing tools closely, you will notice that ApowerEdit has an advanced and powerful editing features to create gameplay video.